Can you follow the route and solve the clues on the Aberdeen Spy Mission Treasure Trail? The 2.25 mile Trail route is suitable for the whole family and this self guided Trail is certainly the fun way to explore the West End of Aberdeen. You'll need to keep your eyes peeled when following the Aberdeen Spy Mission Treasure Trail as the answers to the clues are set on historical buildings, monuments and permanent features around the city of Aberdeen. So not only will you explore the streets of Aberdeen you'll also learn about the area as well. 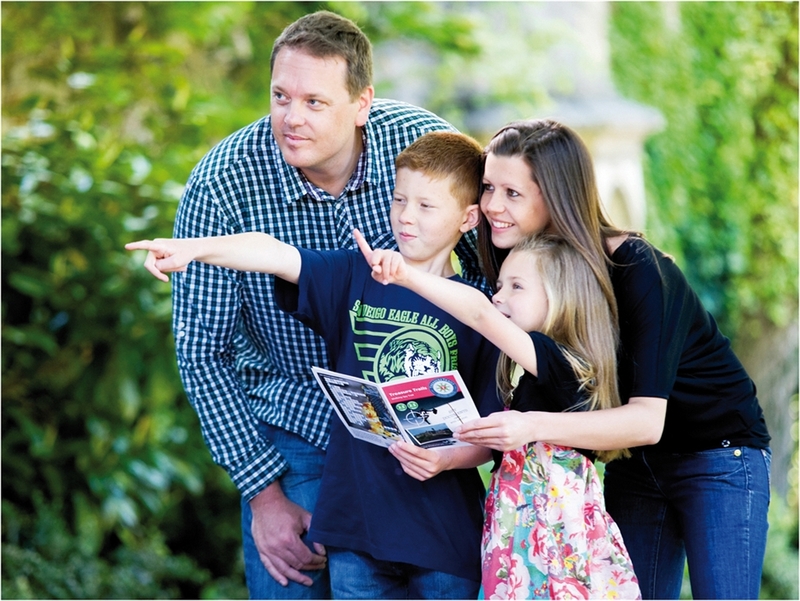 This self guided Treasure Trail starts at Alford Place but make sure you've purchased your Spy Mission documents from the Treasure Trails website by clicking on the website link above. Your Spy Mission Trail booklet costs £6.99 and can be shared between 4-5 people. Either download and print off your Trail booklet from the Treasure Trails website or get your Trail posted directly to you. 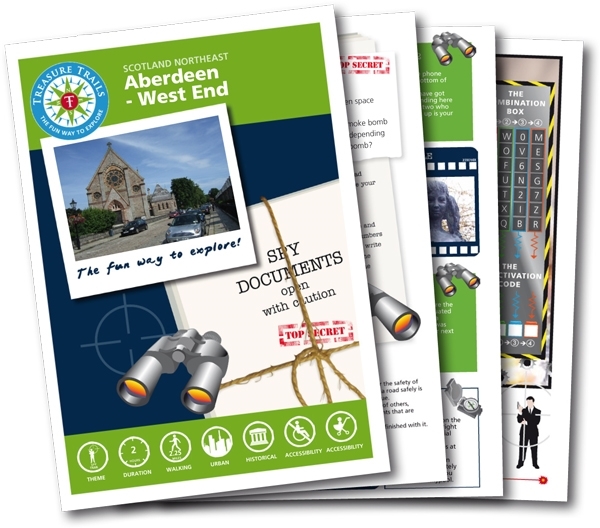 Once you've got your Aberdeen Spy Mission Treasure Trail in your hand you are good to go! Visit our website from more information on the Aberdeen Spy Mission Treasure Trail.